We're unable to offer trips to Turkey at the moment. We'll continue to monitor the situation. Kalkan is a harbour town on the Turquoise Coast. There is plenty to do around the area, with Lycian rock tombs, an ancient underwater city close by and outdoor activities such as walking and cycling. 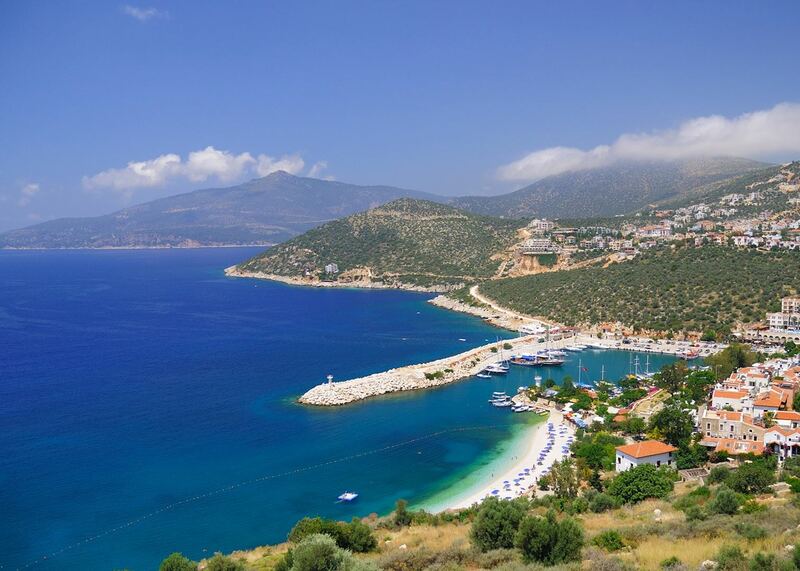 Kalkan is a picturesque harbour town on the aptly-named Turquoise Coast. Despite having changed from a fishing village into a fairly upmarket tourist town in the mid-20th century, the town is still characterful and enjoyable to explore. It has varied and numerous dining options, especially on the streets surrounding the harbour, which are full with restaurants and bars. Although the town does not have a beach there are rocky bays or decking from which to swim. There is plenty to do around the area, with Lycian rock tombs, an ancient underwater city close by and a variety of outdoor activities on offer, including walking and cycling. Taking a boat trip around the local coastline and coves is highly recommended. We’ve selected a range of accommodation options for when you visit Kalkan. Our choices usually come recommended for their character, facilities and service or location. Our specialists always aim to suggest properties that match your preferences. The Asfiya is only a ten minute walk from the centre of Kalkan. Its rooms are located in three stone buildings set around a large pool area along with a restaurant and a bar, spa and hammam. Asfiya Sea View is a stylish hotel with exceptional views out across the sea from its hillside location, and is just ten minutes' walk from the town centre. A beautiful hotel with views out across the headland and Mediterranean Sea, the Likya Residence Hotel & Spa offers a tranquil retreat and is only a few minutes' walk away from the restaurant-filled harbour streets of Kalkan.